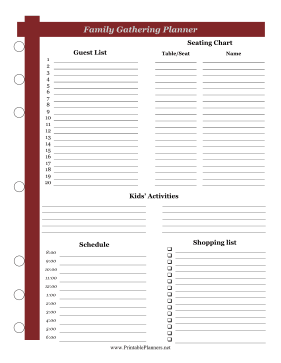 Great for holidays and reunions, this family gathering planner has maroon bars and space for guest names, seating arrangements, food, and kid activities. This refill is also available in an editable DOC format for $4.00. You can type your schedule into the document print it.